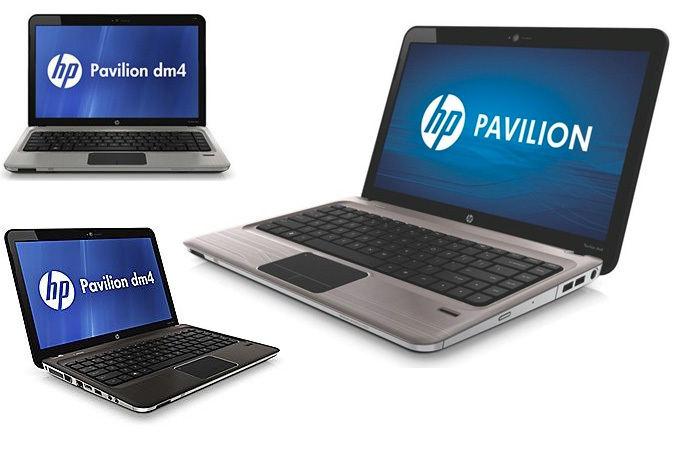 HP now launches its ultrathin 14-inch Pavilion dm4x laptop, that comes with Intel’s new Sandy Bridge processors. The notebook features a brushed metal finish and is available in two colors, steel gray or dark umber. It is fitted with BrightView LED-backlit (1366 x 768) display, chiclet keyboard and a TrueVision HD webcam. Inside you can configure a Core i5 or i7 processor, Radeon HD 6470M discrete graphics with 1GB RAM, up to 8GB of RAM and up to 750GB hard drive. Standard connectivity includes Gigabit Ethernet, 802.11 b/g/n WiFi, and Bluetooth. Of course there’s and a multi-format card reader for your memory cards, as well as USB and HDMI ports, plus a 8x DVD writer, all powered by a 6-cell battery and backed by HP CoolSense technology, which “senses your laptop’s heat level” and automatically cooled it. The Pavilion dm4x is available now, starting at $730.